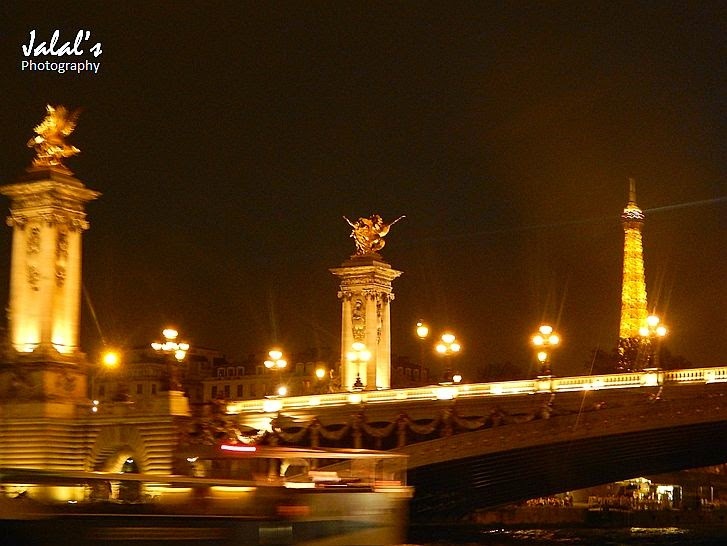 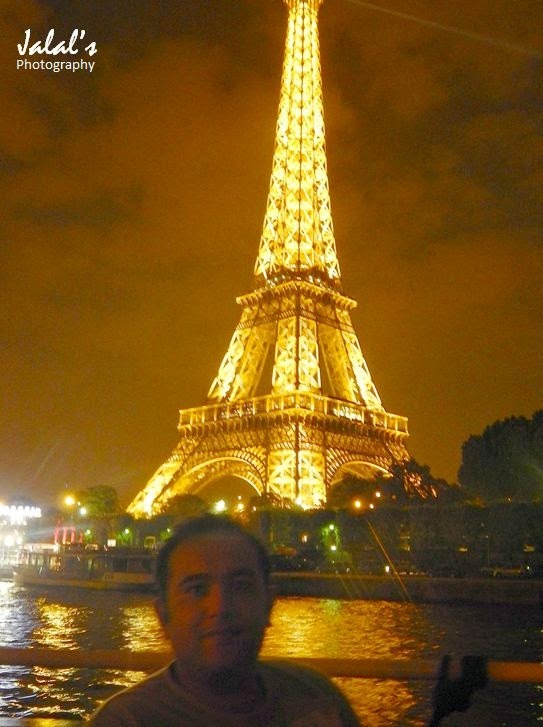 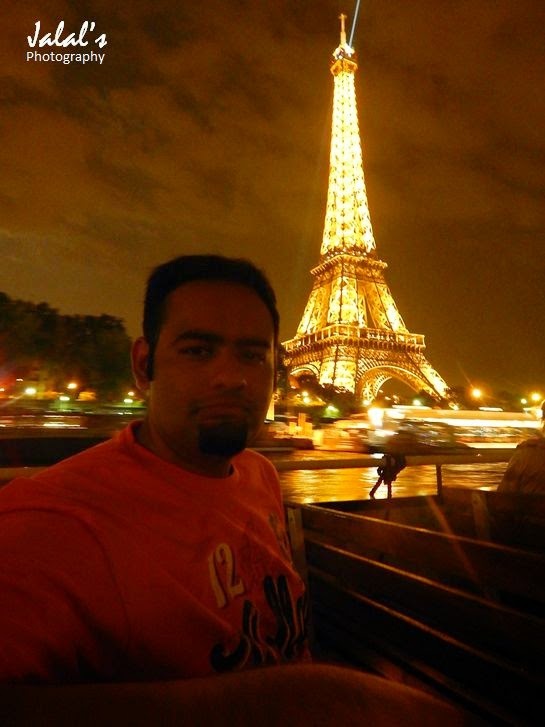 In my previous post on the Paris night boat ride, we had embarked upon our boat ride while the Eiffel Tower's lights were just being started to put on. 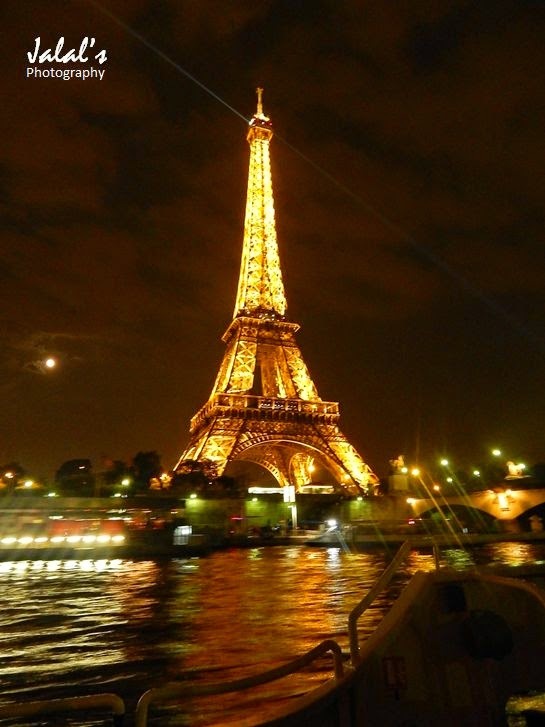 But when we reached back, I could see the Eiffel Tower in its full bloom of lights as can be seen in the following shot that I took from the boat. 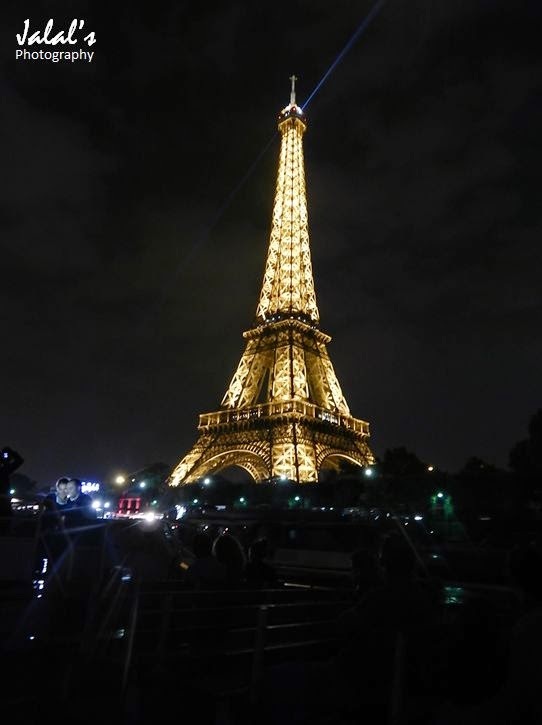 And then when we disembarked, it was all fun to watch the lights glittering through the entire height of the tower with flocks of tourists standing and enjoying their last glimpse of the day of this mighty tower. 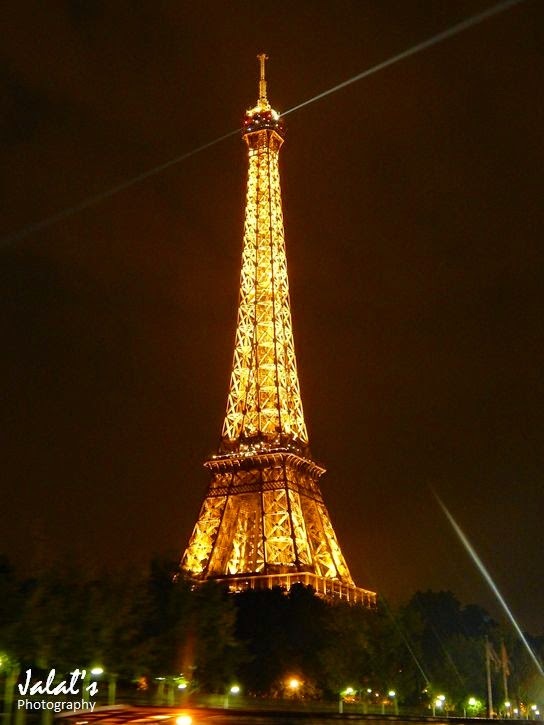 For me it was the last glimpse as we had other plans for the remaining days left in Paris.